My son is obsessed with his guitars. Yesterday he spent a good part of the afternoon building a cardboard replica of his Ibanez and now he wants to string it up and see if he can play it. He teaches himself songs, and he practices all the time. So of course when he got to name his own hat, he opted to name it after a rockstar. So his hat is the Armstrong Hat - named after Billie Joe Armstrong of Green Day. If you look closely you can see the cord for his necklace - he wears a guitar pick around his neck anytime he's not at school. 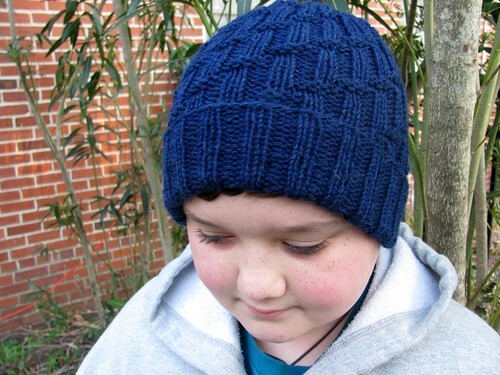 The hat is completely reversible and has a deep fold-up brim per the boy's request. It knits up quickly in Cascade 220 on size 7 (4.5 mm) needles. It's available in small, medium, and large sizes in written and charted instructions. 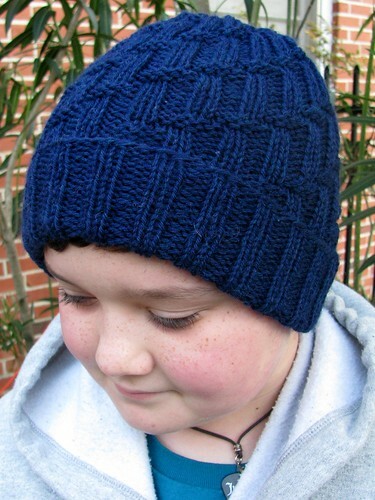 Available for purchase for $6.00 or in a 3-pattern hat e-book for $8.95.